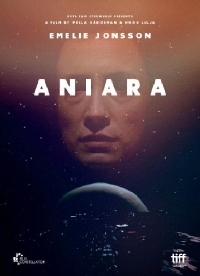 Aniara is a Swedish sci-fi film that was completely off my radar until it premiered at TIFF today. The early buzz is strong enough that I'm completely intrigued. The film is based on a novel by nobel prize winner Harry Mortinson and is about a spaceship carrying settlers to Mars that is knocked off course, causing the consumption-obsessed passengers to consider their place in the universe. The film is written and directed by Pella Kagerman (as Pella Kågerman) and Hugo Lilja and it looks like its being distributed by Magnolia so hopefully we see a release soon.